No matter what type of party you are planning, the invitation is the first thing that will tell guests about your event. Whether it's a simple gathering of friends or a formal affair, dinner invitation wording will let your guests know what to expect. Wording can be whatever you like for your dinner party invitation. 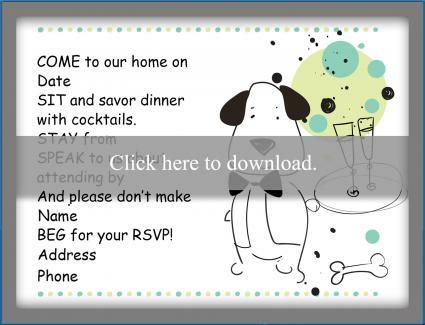 Download a few templates included below by following Adobe tips and you'll be ahead of your party planning timeline. Select simple wording and classy graphics for this traditional simple wording option. The honor of your presence is requested at location, address, on date. The casual wording of this invitation lets guests know they don't need to dress up. You are invited for an evening of good food and conversation at the home of host's name. 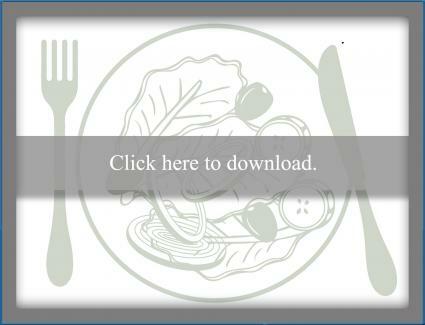 This card works best when folded, but regardless of formatting, it should feature someone's dinner waiting. Inside: But you can join host name for a lovely meal at address. Our meal commences at time on date, so you won't even miss your own meal! Put pictures of your favorite dogs on this fun card. COME to our home on date. SIT and savor dinner with cocktails. STAY from time to time. SPEAK to us about attending by date. And please don't make host name BEG for your RSVP! Use a postcard layout and center your information. Our annual holiday dinner party is happening on date at time and it will be epic! Make sure you feature a salt shaker on the front of this card! Inside: And tangy, savory, and probably decadent at host name's dinner party on date. Get ready to get your taste on at address at time. Graphics should include food items galore. 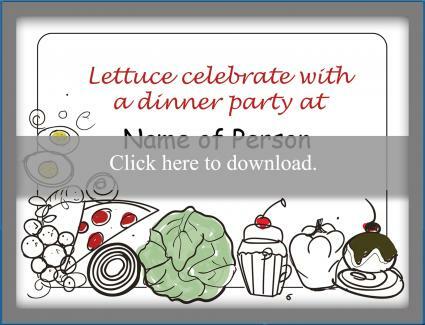 Cover: Lettuce celebrate with a dinner party at host's name! Inside: Peas bring sides, salads, or desserts so we can have more options to get egg-cited about! Dates are welcome. Show up at date, time, address and cumin in! A bundle of thyme can help convey the comical nature of this card. Inside: Yes, the thyme for beers, cheers, and maybe even some jeers at host name's holiday dinner party! Come to address for a little sugar, spice, and everything nice! A delicious meal should be featured in the graphics for this wording option. Inside or below meal graphic: Please join host's name for a dinner party at time, date, address. Don't worry about food preparations, just come prepared to stuff yourself and we'll handle the rest! This is a basic idea that gets the point across quickly. Inside: A lot of food with host's name at our dinner party! All you have to do is show up at address, at time on date with your appetite in tow! The formal wording of this invitation lets guests know this is a dress-up occasion in honor of an individual or special occasion. The wording of this invitation is also formal, but is intended for a gala celebration at an event venue rather than at the host's home. Any other requirements such as the dress code, if guests are required to bring a dish, if it is going to be a cash bar, etc. The invitation should go out early enough to give your guests time to respond and make plans. Two weeks in advance is usually enough time for a casual invitation to be sent. 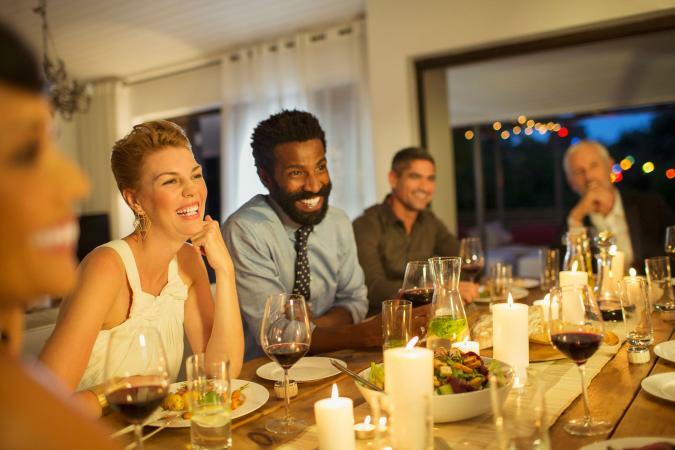 For a formal dinner party, the invitation should be sent 4 to 6 weeks in advance.